David P. Riley | Czekalski Real Estate, Inc.
David Riley joined Czekalski Real Estate in 1993 and is happy to be part of the family atmosphere and is proud to provide the highest quality appraisal services to their clients. Dave graduated from Fox Chapel High School and went on to earn his B.A. in Political Science from the College of Wooster, where he also was a member of the lacrosse team. He also completed graduate work on his MBA at Bowling Green University. 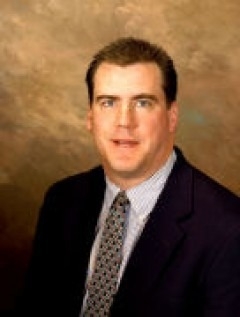 Dave is a Certified General Appraiser and licensed in real estate sales. Prior to joining Czekalski Real Estate, he worked a wide variety of jobs from retail, to sales and finally with a couple different appraisal management companies. Currently he specializes in doing appraisals in both Allegheny and Armstrong counties. Dave stays very active in the community coaching youth sports – including soccer, baseball, basketball, football and most of all lacrosse. He helped start the Freeport Youth Lacrosse Organization which currently has boys youth teams U11-U15 and supports the Freeport High School lacrosse team. Dave currently coaches Freeport’s high school lacrosse team, the U15 team and assists the U13. Lacrosse is one of his true passions in life. Dave has two sons, Brennon and Sean who both play lacrosse and attend Freeport School District. In his free time, he enjoys spending time with his sons, fishing, hunting, watching television, cooking, the outdoors and spending time with friends.